This paper has two main objectives. The first contributes to the development of marketing theory by proposing a measurement instrument, allowing for the testing of knowledge on the effective marketing research processes, while the second focuses on the verification of that knowledge across two groups: managers and researchers in business organizations from the perspective of a two-community theory of management. In particular, the level of compliance between information-users and information-producers on their knowledge of these processes is investigated. With these objectives in mind, theoretical assumptions of the effective marketing research processes from the methodological perspective are discussed. Next, methodological problems appearing in marketing research processes are characterized. Further discussion speaks about a need for stronger integrity of researchers and managers on the basis of methodological knowledge of effective research processes in order to enhance these processes and improve activities related to planning marketing strategies and decision-making. Finally, when comparing that knowledge on the basis of the empirical study conducted, we implemented the following analytical strategies based on Multi-Group Confirmatory Factor Analysis (MGCFA) and Multiple Indicators-Multiple Causes (MIMIC) model in reference to a sample 391 of respondents working in multinational companies in a European country (Poland). The results confirmed the psychometric quality of the developed scale of testing knowledge on effective marketing research processes, but also revealed that managers and researchers share slightly different points of view on the effective marketing research processes. Managers exhibit an even greater level of instability than researchers when evaluating these processes, while their insufficient knowledge is due to a lack of conviction that marketing research can be effective in general. 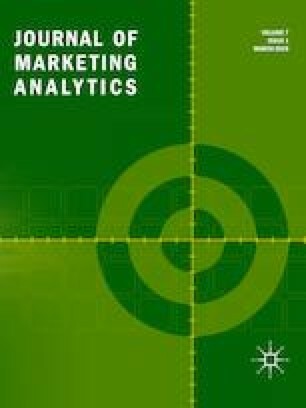 Moreover, managers assume that marketing research and research information does not always play a significant role in the activities related to planning marketing strategies and decision-making. Our findings also have practical implications for organizations that wish to improve their internal information policy and make the marketing research more effective with equal engagement of both groups. Esomar 2014. Global market research report: an Esomar industry report, downloaded from the world research group at www.esomar.org. Yu, C.-Y., and B. Muthén. 2002. Evaluation of model fit indices for latent variable models with categorical and continuous outcomes. Report, https://www.statmodel.com/download/Yudissertation.pdf.